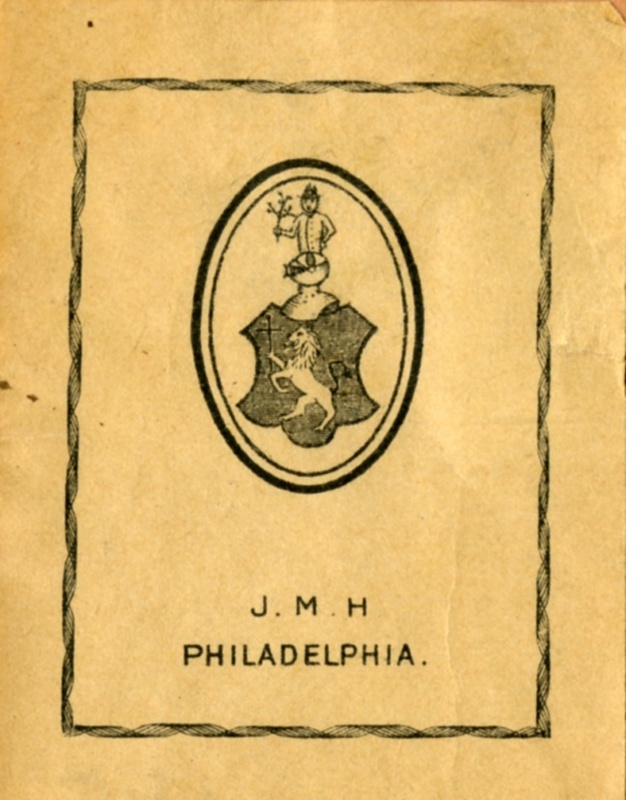 Heraldic/Armorial-style, personal bookplate featuring a small coat of arms in oval frame above title text. ~ Unknown, “J.M.H. Philadelphia,” Portsmouth Public Library's Online Archives, accessed April 23, 2019, http://portsmouthexhibits.org/items/show/1549.